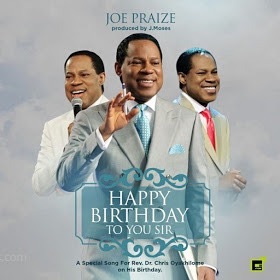 Today Dec 7th is the birthday of a Great Man of God, The General Overseer of Believers World popularly called Christ Embassy ! Joe Praise drops this Hot Banger to celebrate with Pastor Chris today..Believe me its a Major Hit !! !